Description Stace Collection - Samoa. A Fresh Water Bathing Pool. 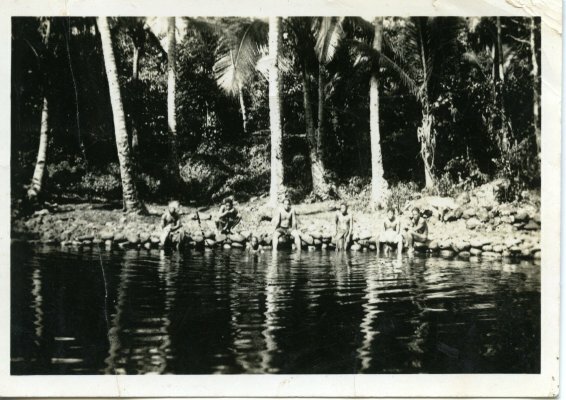 Men sitting on bank of pool.